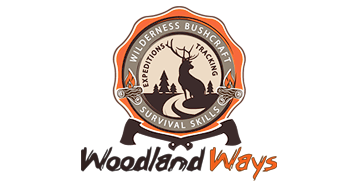 When we were out in Croatia earlier this year on our Wildlife Watching and Tracking course, Woodland Ways donated one of our Spy Point trail cams to the rangers in Risnjak National park to help them monitor and record the amazing wildlife that lives there. At the end of summer the Red Deer in Croatia have their rut, typically a month earlier than in the UK. At that time, after a dry summer, water is in short supply so the rangers monitor the stags visiting known water holes to assess population numbers. With the camera they are now able to do this remotely and can identify each stag from its antler growth. Here are a few videos taken in September kindly sent to us by one of the park’s rangers, Miro. The camera is now relocated to a position towards the top of Mount Risnjak overlooking a salt lick to monitor the numbers of the dwindling Chamois population that live on the cliff faces around the summit. They are a isolated population and their numbers have dwindled to less than ten individuals in recent years, probably through inbreeding depression. The park are hoping to work with the Italian government and import fresh blood from the Alps. Once the snow has fallen in the area the camera will be moved again and used to monitor wolf and lynx. We are pleased that the camera has being put to such great use and is gathering useful information to help Risnjak in its conservation work. We would like to thank all of the Risnjak staff and authorities for sharing these videos, and especially Miro.